Understanding time from an artist’s point of view is a fascinating process. When the T’NS edit team brainstormed the idea of exploring art in time and time in art, I was doubly excited. Of course all watch connoisseurs value and preserve their prized timepieces as objects of art. After all, a high-end watch represents the absolute precision and passion of skilled watchmakers, where each component calls for flawless craftsmanship, to be carefully integrated within the overall harmonious, architectural structure. What we wanted to know was how time could be captured on an artist’s canvas. Thus, what started as a small idea, turned into a big project! We roped in 25 young artists (aged 16 to 21) from the Sir JJ School of Art and gave them the task of interpreting time as they perceived it. 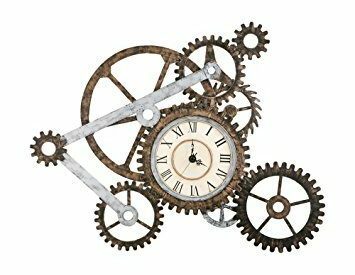 We waited to see if obvious symbols like watches, clocks, seasons, eras, or important events in history will be used to depict time or will time will be presented as an abstract concept. The most difficult task, for us, was to select the final ten works of art from 25 brilliant canvases. What also emerged from the canvases were subjective analyses of time, a universal concept. For an artist from an urban milieu, time is all about speed—the zipping by of a train, and for yet another artist, steeped in a rural background, time got represented by the ripening of crops. Viewing time through the eyes of 25 young, talented artists was an enlightening and thought-provoking experience. Both, art and time are mysterious or intangible concepts that are open to interpretation. I always believe that there is an artist in all of us. It’s all a question of whether we nurture our creative side or not. Even in our daily life, how we manage time is a skill, but how we spend time is an art. I hope you readers enjoy going through these time-themed paintings (See page 61). We at Time ’n Style are sure these budding artists will make India proud one day. While on the topic of nurturing young talent, I must mention the Young Laureates Programme of the Rolex Awards for Enterprise, which provides support for outstanding innovators, aged between 18 and 30 as they address the challenges of the 21st century. It was heartening to know that among the young laureates also stands an Indian, Piyush Tewari, who was recognized for his project to train a network of police officers and volunteers to provide rapid medical care to victims of road accidents in Delhi. over 135 years. To know more, turn to page 32.
doesn’t stop or run for anyone. It keeps on ticking at its own pace. very difficult to practice. It surely requires a lot of discipline to embrace this philosophy. watchmaking. Till then, we wish you a Happy New Year!